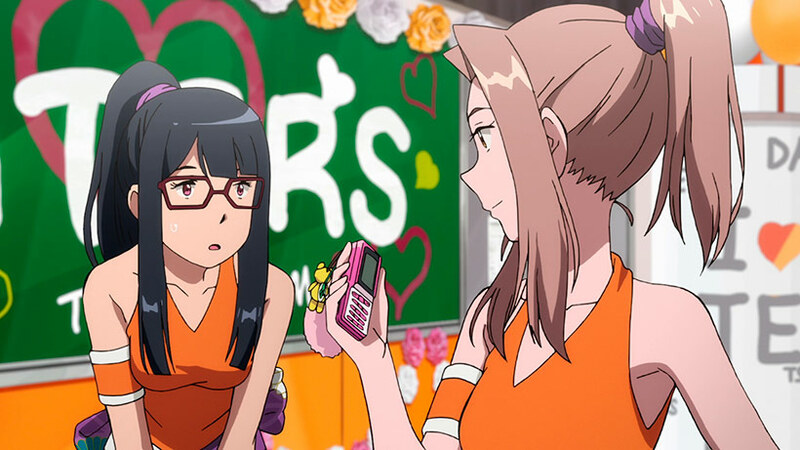 Digimon Adventure Tri Part 1 was pretty awesome – stacks of references to the rich world established with the first TV series and an inspired art design made for compelling viewing. 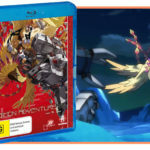 So with Digimon Adventure Tri Part 2 we find our journey with this new arc at a cross roads with the opportunity to double-down on the action or invest some time in exploring its cast. Depending on your preferences you’ll likely come away excited or a little disappointed. 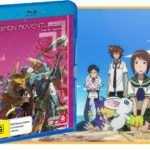 Digimon Adventure Tri Part 2 picks up from where its predecessor left off – Tokyo’s recovering from all the collateral damage from the previous events and the team have been trying to lie low, keep their Digimon from getting infected and keep away from the media who have been savaging the presence of Digimon in Japan. To help build up the team’s spirit they head off for an impromptu hot springs trip (which, impressively, didn’t fall for the usual anime hot springs tropes) before the team gets involved in their high school culture festival. During this period Koshiro continues to focus on finding out more info, Jo and Mimi find themselves in similar head spaces, but we also start to find out a little more about Meicoomon and the government conspiracy. There’s a few surprises in the story, but with this entry in the series we’re clearly building foundations rather than exploding the world, but that’s necessarily a bad thing. So in terms of its story, despite the feature length Digimon Adventure Tri Part 2 feels more like an OVA or an extended episode of a TV series (albeit with some lovely production values). There’s a really strong emphasis on capturing the slice of life side of things and exploring the characters, how they’ve changed since the TV series and how they’re dealing with transitioning out of school and into the real world. Because of this there’s much less emphasis on action and battling and more around exploring how they deal with their destiny as saviours of a sort. In particular we see a big emphasis on a handful of players, including seeing how Meiko begins to find her place in the group and some really interesting insight in watching Mimi working through some culture shock as a result of returning to Japan after living in America for a few years. 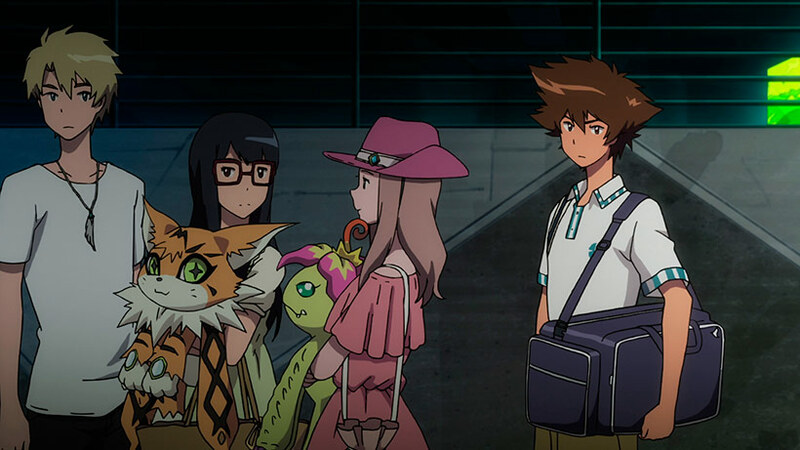 However, what’s really striking is how they work through Jo’s complex feelings around his responsibilities as a son, as a student, as a DigiDestined and as someone trying to work hard and enter society as the eldest in the group. The script displays some impressive nuance in exploring how Jo navigates his way through the maelstrom of emotions, not unlike what we saw with Taichi in Part 1. The journey proves to be incredibly satisfying, especially as we see how Jo and Mimi both note the parallels in their lives. Mind, there’s also some biffo as well with the return of a few old favourites from Digimon Adventure’s first season which served as an interesting plot point in addition to some fan service. Similar to the first entry, in Digimon Adventure Tri Part 2 the henshin sequences are all CG but are tastefully implemented and the battle sequences are nicely choreographed. If we’re getting nerdy, Mamoru Hosada’s direction on his Digimon Adventure movies still pip these sequences, but they’re still great fun to enjoy regardless. However, if the slice of life stuff bores you to tears you’ll probably struggle a bit with the pacing in this release. Compared to the earlier Digimon Adventure films which sandwiched the interpersonal character stuff alongside lavish action sequences into pretty compressed running times, Digimon Adventure Tri Part 2 definitely leans much more on the daily lives of the cast in addition to gently expanding out the conspiracy plot. Personally, I think the emphasis greatly benefits this release, but your mileage may vary. The release is a little threadbare, but we do see some improvements compared to Part 1 with regards to the audio tracks. Unlike the previous release, we have 5.1 DTS-HD tracks for both the English and Japanese audio, and it sounds great. Encoding and presentation is otherwise rock solid with no artefacting or other tomfoolery present, and while I would have liked to have seen the original Japanese credits during the opening sequence (because weebs), they’ve been adapted very tastefully. There’s a short featurette on the disc as well covering off the production of the English dub which is a nice touch given the returning voice talent to the project who worked on the original localisation. 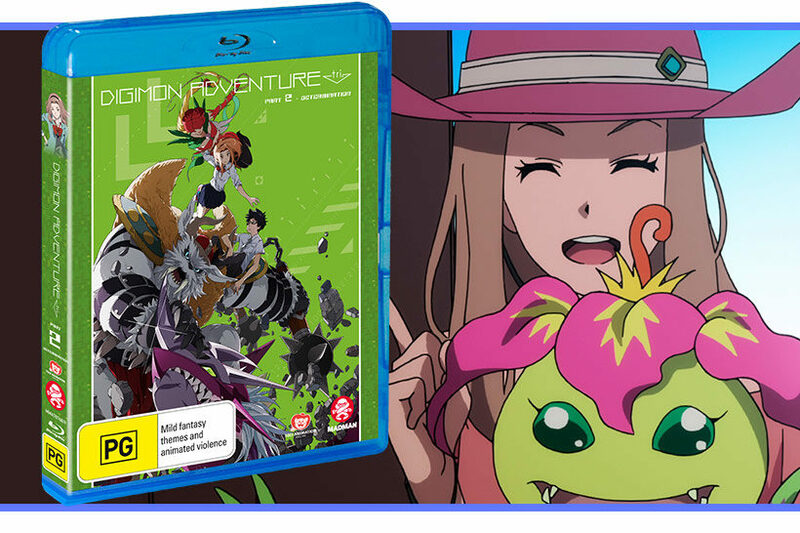 Digimon Adventure Tri Part 2 proves another interesting step for the theatrical format. The emphasis on the characters and their relationships adds welcomed depth to the narrative, the doubling-down on the slice of life elements grounds an otherwise fantastical premise and the production values are solid. Highly recommended, especially for fans of the original series’.